The year end school holidays has officially started. The kids are out of school for 6 whole weeks. I have many different activities lined up for the kids to occupy them during this period of time. I will be focusing on both building up their academic and non academic skills. We will be doing more cooking/ baking and crafts with outdoor activities as often as we can. 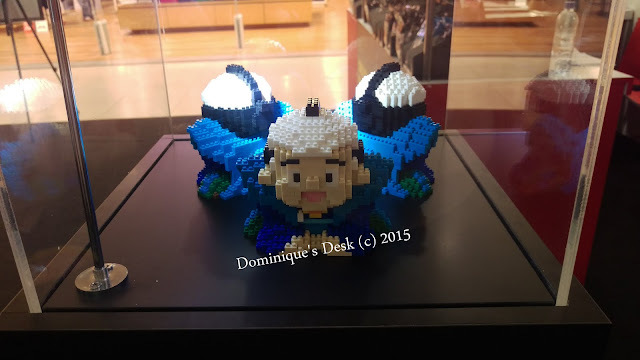 Over the weekend we came across a Nano Block exhibition and competition at the Atrium of a shopping mall we visited. 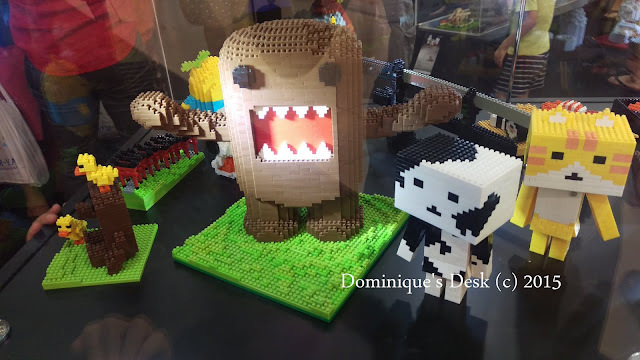 It was really interesting to see all the different creations out of nano blocks. The kids and I have been creating small figurines out of nano blocks during previous holidays and they do love fixing it. The drawback that I see is that we have run out of display space on the display cabinet that we have at home for it. Therefore I am not going to add any new pieces to the kids collection. These blocks like the “new themed ” lego blocks can only be fixed once so it’s not really that practical in my opinion. I still prefer the old style free play where creativity is really tested. 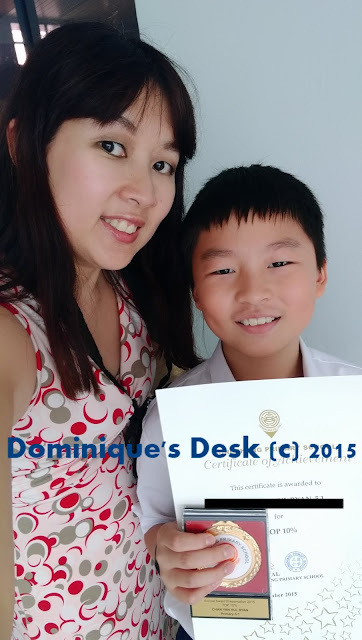 The highlight of last week for me was when Monkey boy received his award for achieving top 10% in his level. This is the 5th year straight that he has achieve this award. How was your week so far? Wow, 6 weeks off. I’m excited about a 4 day weekend. Those blocks are wonderful. 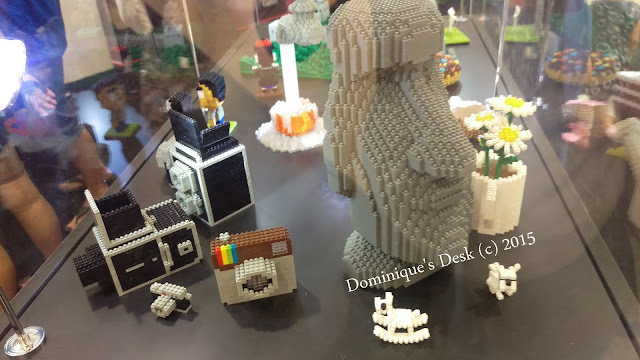 I’ve seen some amazing lego stuff on display at the Library and will have to share them. Have a great vacation and hope to see more creativity. Great photo with you and your son, wishing you a wonderful holiday!! Congratulations to your son. Enjoy your 6 weeks off. 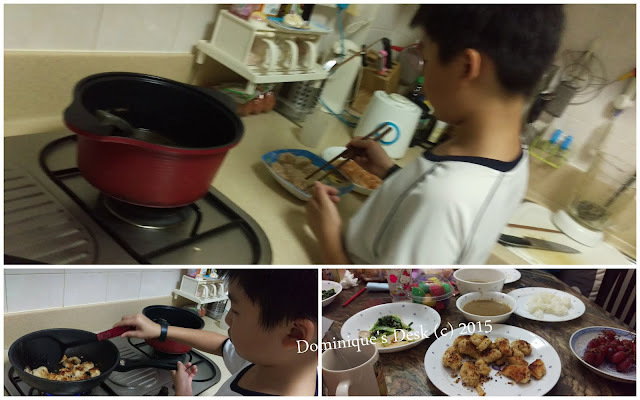 Cooking with your kids is a great way to teach them those skills. What a great display of Legos. My sons would have loved that! What a great holiday! My boys have so many Legos. I love the free play and their creations. One started doing stop motion videos with my old Canon. He even set up a studio in his room. Congratulations to Monkey boy!!!! Wow! Envy the 6 weeks off! I can’t even remember the last time I had an off for that long! lol! I like that nano blocks too. I always look forward to holidays because that means more quality time spent with my family. Fantastic work, Monkey boy! Well done! Congrats to your boy! You must be very proud. What a fantastic achievement! Congrats for the award! I’m waiting for our 2 weeks Christmas break so we can have time to unwind. Congratulations to your son! It sounds like you are going to have a lot of fun when your kids are home for the next 6 weeks.